Managing experts is always a challenge that can get particularly tough when an industry is going through a major tumult. Journalist Annukka Oksanen examines how the health care sector should be managed, and what hospitals can learn from startups. 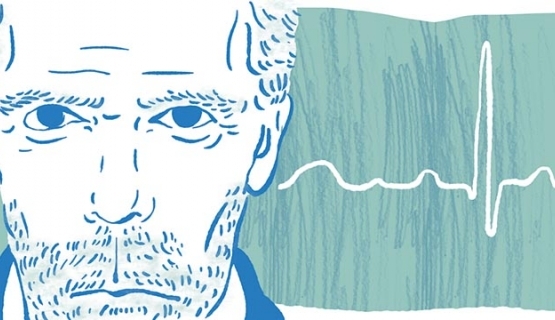 Dr. Gregory House is an enigmatic character. The ill-tempered character hopping around aided by his walking cane in television series House is the creation of actor Hugh Laurie. Dr. House is Head of the Department of Diagnostic Medicine at the fictional Princeton-Plainsboro Teaching Hospital, where he spends most of his time bickering with dean Lisa Cuddy (played by Lisa Edelstein), whether about hospital resources, rules restricting clinical work, incompetent staff, or, naturally, ridiculous patients. Dr. Gregory House finds being told what to do utterly intolerable, with tension between the top medical expert and dean providing the main twist to the tale. House topped the charts as the most popular television series a few years ago, leading to think that health care must be fascinating for the masses. Running from 2004-2012, a total of 9 million Americans gathered around their televisions to witness the final episode of the series, Everybody Dies. However, perhaps there’s more truth in concluding that the dramas and management of expert organizations are what really appeal to viewers with all the underlying conflicts, whether the focus is on lawyers, journalists or teachers. The theme is universal. At the moment, real-life health care management has potential for even greater drama. The sector is in the ravages of a transformation that it is sometimes even referred to as a paradigm shift. The advancement of a paradigm shift is characterized by experimentation, conflict, and restlessness. It takes a while before the new paradigm becomes established. Only change being permanent has become a modern buzzword. But what is required from management in turbulent times? How to make people see that what’s past is past, then embrace all that’s new? The scenario cuts even deeper in a situation where also leaders are uncertain about the future. Financial pressure, complex funding and administrative models and plans, rapid medical advancement, and humble patients turning into demanding customers have all contributed to siloed and hierarchical health care organizations seeming outdated. Almost everything in health care has changed over the last century apart from the organizations themselves. The Nordic countries serve as a test lab for the health care transformation. In line with the ideology of the Nordic welfare state, citizens are entitled to exceptionally comprehensive public health care that must be top-notch in return for the high taxes they pay. Ranking at the top of international studies on the quality of living, another reason for the test lab status of the Nordic countries is that they are modern and equal societies with an informal culture, with hierarchical health care administration contradicting with the rest of society. Another Nordic characteristic is that private and public health care operate side by side and supplement each other. As a result, pressures for the sector to transform are evident earlier on and more starkly than in other countries. Naturally, changes are experienced differently, some thriving on the buzz and turbulence, while others get stressed bordering on anxious. The transitions are usually particularly evident in the daily work of doctors. “Everything changes, right from the patient’s behavior. What was taken as a fact ten years ago has now expired. New information floods in at an incredible pace”, notes Petteri Hyrynkangas, Specialist in Occupational Healthcare at Terveystalo Oulu. Terveystalo is Finland’s largest private health care company with 18 clinic-hospitals and nearly 150 separate locations around the country. “Almost all medication for treating kidney cancer has changed during the last decade, which is great”, exclaims Antti Jekunen, Professor and Chief of Oncology at Vaasa Central Hospital, as he describes the rapid advancements in his field of specialization. “Everything to do with doctors is undergoing change”, states Kati Haapakoski, Editor-in-Chief of Finnish health care magazine Mediuutiset. According to Haapakoski, this trend is heightened due to the economic downshift and related financial pressure. Once again, the phenomenon is universal, with IT, communications, retail, and every other sector feeling the brunt. Dealing with life and death adds its own spin to the transition in the health care sector. The same goes for a lack of competition within the largely public sector, which hasn’t added pressure to transform. “The dismantling of old ways has gradually begun in the health care sector”, explains Jaana Junell, HRD Director at Terveystalo. “Renewal, unlearning in particular, can feel difficult at times. Taking on a supervisor role and managing performance can be challenging for new managers in the sector. I believe that a discourse centering on customer-orientation and overall quality experienced by customers, rather than simply focusing on treating the patient’s illness like before, signify changes in a larger context”, continues Junell. “There’s no point for needless glorification.The same logic applies to health care and the work of doctors as for other expert roles”, points out Pekka Mattila, Group Managing Director at Aalto Executive Education and Professor at Aalto University. Aalto EE offers several health care management programs. Compared to other OECD countries, the cost of health care in Finland is of an average level. “But costs go up quickly”, adds Vesa Kämäräi-nen, CEO of Nordic Health Care Group, a company specializing in designing and developing health care and social services. The rise in costs needs to be curbed, as there’s a ceiling to how much can be collected in taxes even in Nordic welfare states. It’s easy to feel the pain of doctors. Journalists going through the motions of a media transformation know more than well that reinventing and redefining one’s work can be a painfully disheartening and uncertain task. According to Mattila from Aalto EE, this is exactly what doctors are up against: having to reinvent their profession. There’s no way to fast-forward such a fundamental process. Scene 1: Health care expenses need to be curbed and waiting lists shortened. This requires a new set of thinking. A change manager is hired for the job. This professional manager is not a doctor, but has degree in health care, engineering, economics, or the likes. Scene 2: The change manager takes the lead. He may replace line management with matrix management, reorganize tasks from one team to another, and create a chart for measuring the efficiency and quality of the performance of doctors. Scene 3: Uncertainty spreads like an aggressive virus through hospital corridors. A great deal of mumbling, scheming, and gossiping ensue. The phase can continue for several episodes, sometimes an entire season. Scene 4: Doctors threaten with mass resignation, if the manager doesn’t step down and isn’t replaced with someone with a background as a physician. Scene 5: The manager gets the sack and doctors take back their threat of resignation. The organization gradually returns to its old predicament, until the drama is replayed from scene 1 a few years down the line, this time with added pressures. Alternative scene 5: The manager isn’t fired, but is authorized to see the renewal process through in the organization with most of the doctors’ positions remaining vacant. The renewal process is long and painful. The parties need to accept that a miracle cure does not exist and everyone must carry their weight. The health care sector’s billion-dollar question is how to proceed from the tantrum phase to the alternative ending – the renewal process. This is a real challenge for the change manager. The first thing to understand is that an organization of experts cannot be steered by giving out orders. “In a traditional industrial workplace, a boss would put people straight by throwing a few fine and dandy terms in the air, but people in an expert organization have a higher level of education than their managers”, says Mattila. Not really the place for the boss to show off. An emphasis on expertise and the institutionalized profession is stronger in the hierarchical health care sector than in other fields of expertise. “Doctors are kings used to doing things a certain way. They are self-motivated and ambitious. In order to be accepted, changes first need to be justified or grasped. But once the underlying reasons are understood, doctors remain smart and loyal. Their professional identity is extremely strong”, remarks Petteri Hyrynkangas, Specialist in Occupational Healthcare at Terveystalo Oulu. He finds doctors to be exacting on the one hand, but easy to manage on the other. But why do doctors find it so difficult to be managed by someone who doesn’t share their educational background? Hyrynkangas thinks the question may also be of many doctors expecting the manager to be able to support clinical work. In other words, doctors prefer the expertise of their manager to be at least of the same level as theirs. Doctors are ambitious in clinical work, wanting their manager to provide clinical authority. The convention in the health care sector to appoint a merited expert as a manager is prevalent also in other fields of expertise. Regardless of the field, the entire organization may be so enthralled by the institutional profession that members refuse to believe anyone else could understand its excellence and uniqueness. This type of management model views the authority of the boss to be established on mastering the substance at least at the same level as the subordinates, with management itself being something of an add-on to expertise. These are some of the reasons why the introduction of a professional manager can be so hard to accept. Typically, the work of an expert manager has been carried out alongside the main profession without management seen as a separate vocation as such. At Terveystalo, managers are no longer primarily doctors. This is a huge change in a sector where managers have traditionally been appointed on the basis of excellent clinical performance. HRD Director Jaana Junell sees doctors valuing expertise as a positive notion. According to Junell, health care places more importance on professional competence than is the case in other fields. It is vital that management ensures this competence is developed in one way or another, such as by allocating separate resources in the matrix. As critical and analytical thinking forms a key element of the professional competence of experts, it is natural for experts to apply these skills also in evaluating management. Additionally, it is difficult for outsiders to be certain how well experts carry out their work. You can’t see what goes on inside someone’s head. “A critical approach is good, but can turn into sour cynicalness”, remarks Pekka Mattila, Professor at Aalto University. In Mattila’s view, the task of managers in an organization of experts is to be a little “dorky” and not to pretend to master the specialized field. “Questioning one’s supervisor comes with any job”,says Mattila. It is something a manager of experts just needs to get used to. Also chauvinism is at play in the echelons of traditional health care. An emphasis on the doctor’s institutionalized profession can also be interpreted as a way of ensuring that women, those “gentle sisters”, are unable to break past a certain level. “The most demanding supervisor roles have previously solely been open to men, who were able to advance rapidly through research”, explains Mattila. The medical field is ridden with historical and cultural taboos that see certain tasks belonging to certain professional groups, which are further divided according to gender: the majority of doctors are male and the majority of nurses female. The pecking order has been clear-cut throughout the times. Seen as model nations for equality, the Nordic countries often brush off chauvinism as a problem of the world gone by. But even if not readily admitted, gender can still be seen to at least partially contribute to some of the crises at hand. Let’s take an example: if a woman with a nursing background advances to a management position, male doctors can always threaten with mass resignation. On the other hand, many see these types of management crises purely as people issues rather than to do with gender or the institutionalized profession. In any case, threatening with resignation is a major trump card due to the current doctor shortage. “These struggles that have become public knowledge are growing pains in the face of change”, says Mattila. In the public sector, distinctions among different professions are evident even in national politics: according to Mattila, MPs with a background in medicine keep quiet about renewing the management systems in the field, whereas MPs with a nursing background demand changes and attention to current management practices. “Some have accused me, a ‘cocky consultant’, of having prejudices towards doctors”, sniggers Mattila. But accusations soon quieten down, as Mattila explains his doctoral dissertation examines organizational change processes including a case representing the health care sector. Doctors place high value on academic research. Faced with a critical and suspicious audience, it is vital how one’s critique on organizational change is presented. Mattila often resorts to parody and humor on the whole. The emergence of professional managers in health care does not mean that a person with a background in medicine could not become an excellent professional manager. Quite the opposite – doctors can make outstanding managers, as long as they realize that their role in the organization is completely different to that of a specialist doctor. Swapping roles from a colleague to a manager is challenging in any organization, but particularly so in expert organizations that value knowledge management. “I always say you have to become extra hard-headed, if you go after a supervisor role. At Terveystalo, we highlight that it’s a question of exactly that, a role, which the new supervisor needs to understand”, says Junell from Terveystalo. In health care, professional managers are employed especially at the top level, while middle managers are usually experts in the field, i.e. doctors and nurses, with management accounting for just one area of their versatile job description. Let’s shine the spotlight on Antti Jekunen, Professor and Chief of Oncology at Vaasa Central Hospital. His working week is split between one day reserved for administration, one day for research, and three days for working at the ward, clinic, and in radiation therapy. If the unit is not understaffed, he is also able to take part at research meetings. The unit has nine permanent positions for physicians, which are rarely all filled at the same time. The chief physician is constantly battling for resources – oncologists – with the university hospital, and the capital region attracts specialists like a magnet. University hospitals are appealing to doctors due to the research opportunities they offer, while the smaller units of central hospitals allow doctors to get involved in a wide range of tasks; the same professional needs to master radiation therapy, chemotherapy, and palliative care. Jekunen has examined complexity, i.e. interconnections within organizations. According to the complex organizational and management model, everything is interconnected. This complexity creates cycles that can be either good or bad. Addressing the lack of oncologists at central hospitals by changing the education system in their favor, for example, could lead to university hospitals becoming understaffed. During an average working day, Jekunen holds a 15–30-minute meeting at his unit. The advantage of a small unit is that issues and measures can often be decided on there and then. Jekunen sees the work of a chief physician fitting in with a renaissance model: being a master of many things. And that’s fine with him. According to Jekunen, doctors often have an overcritical attitude towards administration, outsourcing it to the chief and deputy chief physician. This is down to narrow institutionalized thinking. “But that’s not how it goes! Work can be organized in a more efficient and positive way only by means of administration”, notes Jekunen. In 2013, Jekunen’s unit was the first in Finland and the rest of the Nordic countries to trial an panel for organizational development, which was carried out in collaboration with Professor of Social and Health Management Pirkko Vartiainen and her department at the University of Vaasa. The panel’s members were selected from among all of the clinic’s professional and stakeholder groups, including cleaners, patients, physicians, and nurses, getting a chance to see complex decision-making in practice. As the members had to consider the opinion of the entire unit, “a type of consensus was reached by default”, according to Jekunen. The method forced everyone to take part, which in turn made participants take ownership of the clinic and feel it was a place they could influence. In the context of a hierarchical organizational culture, this type of deliberative or discursive democracy at the workplace can be a major turning point. The usual process would be for the head nurse to ask the chief physician how to attain savings of 5–10 percent, while others would listen. No wonder doctors often find it absurd when a maximum price patients have to pay for prescribed medication is proposed in the name of cutting down costs. “A ceiling for prescribed drugs would be of concern also for patients, as ultimately someone could be left without medication altogether”, says Haapakoski. “Health care is a conservative and slow-paced field with rigid organizations. On the other hand, treatments in oncology, for example, are developing at a fast pace. This creates an interesting conflict”, explains Jekunen. Jekunen would like to see complexity thinking integrated more deeply into administration in order to reap better results in what matters the most - patient care. He envisages taking stakeholder groups for a walk around the site of the planned new hospital in Vaasa, so they could discuss the optimal hospital building. “Now we are leaving the design process entirely up to the poor architect, who has a huge job in working out everyone’s differing needs”, laughs Jekunen. He thinks discursive democracy of this type would improve health care operations. “My goodness, it’s all about mutual interaction! That’s what creates a huge driving force in an organization. The power of a leader cannot be established on status, but goals can only be achieved when they are clarified first”, Jekunen observes. Juggling different roles is fine for Jekunen, although expertise in oncology is a matter of heart he is not prepared to give up. This was put to the test during his time as medical director at the Aventis pharmaceutical company, which resulted from the merge of French Rhône-Puolenc Rorer and German Hoechst Marion Rousssel. “I really enjoyed my management role in charge of 296 different ingredients. But then it dawned on me that less than ten of the ingredients were oncological substances. As an oncologist it was time to move on”, recounts Jekunen. Jekunen then worked within the pharmaceutical industry in the United States for a while, before taking on his position as chief physician in Finland. “It was a massive leap, as I hadn’t worked with patients for twelve years. But my identity as a doctor was still intact”, says Jekunen. According to Jaana Junell from Terveystalo, middle management “stretches out in both directions”, wanting to remain experts on the one hand, yet advance within the organization on the other. As was the case for Jekunen, considering one’s options is a rather common occurrence. “Regardless of the field, the higher you climb up the organizational ladder, the more you have to give up as a top specialist. Although of course you can still maintain professional skills”, says Junell, who has previously worked at Nokia. She tips that someone contemplating a management position could first try out being a project manager, for example. This is something along the lines of what Petteri Hyrynkangas, Specialist in Occupational Healthcare at Terveystalo, ended up doing. He set himself a time limit of one year before he could resign from his management position. But in the end he decided otherwise. “I had to think of it as a new profession”, summarizes Hyrynkangas, adding that giving up what used to be was important to process. This is a valid point to remember, as sometimes in the middle of eagerly advancing up the ladder, remembering you can’t have it all is easily forgotten. “Maintaining competence as a specialist takes time. You have to question whether the new position is worth the possibility of existing expertise coming to a halt”, reminds Hyrynkangas. According to Junell, it is vital for supervisors to receive training for their new positions. Hyrynkangas decided to take part in the “Supervisor of the Future” program tailored by Aalto EE. “I’ve received practical tools and a clear idea of what a manager should be like. The program has been quite cultivating, as it has delved into more than just the practical side, such as strategies. It’s also a useful forum for peer support, which is important”, Hyrynkangas highlights. “Change begins at grass root level, from pilot schemes to shaping open organizations, and sometimes in such difficult organizations where there’s no other option but to change”, says Professor Mattila from Aalto University. Also feedback is an important aspect. “We use a supervisor index, which provides supervisors with feedback from employees and a support package for developing skills. The index has crystalized that management work can actually be a real job”, says Jaana Junell from Terveystalo. What is a good doctor? The definition is currently being reshaped. Traditional health care defines a good standard of care almost purely clinically: symptom, diagnosis, treating the symptom, follow-up. In the old world, the authoritarian position of doctors meant they did not need to worry about the patient’s feelings, while staff lower down in hierarchy did not necessarily dare to comment on the doctor’s blunt behavior. Those times have gone. Yet clinical work forms the core part of a doctor’s competence. Without it, doctors can’t carry out their work. “In the end, doctors knowing their thing is what’s most important. There’s Dr. House at one end of the spectrum and a friendly, chatty doctor at the other. Being nice all the time isn’t enough, either”, Petteri Hyrynkangas sums up. As patient experience is a competitive factor at private hospitals, it is also an important focus area for management. Patient experience does also make a difference in the public sector. Citizens are not motivated to pay taxes, if they are not getting their money’s worth or feel ill-treated, end up on a lengthy waiting list for an operation, or do not receive the required treatment at all. These aspects, too, constitute patient experience. How to steer doctors, so they begin to routinely include other aspects of care alongside clinical quality: treatment process quality and patient experience? By putting the facts on the table. In specialist professions, quality is often mystified as an indefinable feeling, but it can actually be measured. Vesa Kämäräinen, CEO at Nordic Healthcare Group, categorizes quality into three separate elements. The first element is clinical quality. “Clinical quality is motivated by medical ambition and the doctor striving to always put the patient first”, says Vesa Kämäräinen from Nordic Healthcare Group. The second element is the care process. Quality development of the process always aims for zero errors. Physicians see the importance of the quality of the process when they are shown how much money can be saved by changing something minor or how the clinical response to treatment is more certain when the process is of uniform quality. They also understand that it is in their personal favor when the company does well. Kämäräinen applauds doctors for easily understanding and grasping when provided with research facts that justify the proposed changes. Knowledge works, as after all a large share of doctors conducts research alongside patient work. According to Kämäräinen, the health care sector offers managers grappling with pressures to streamline operations a chance to cut down percentage units rather easily by rethinking processes and restructuring expenses. This brings motivation. Competitive private sectors, such as retail, have such optimized processes that very little remains to be shaved off. Patient experience is the third element of quality. Kämäräinen sees patient experience as a “story of its own”. Clinical or process quality may be poor without compromising patient experience. Patients may see their treatment experience in a positive light even if they were misdiagnosed. A patient’s treatment experience can be down to the way staff interacts with each other, or being given a warm welcome when entering the hospital. The underlying logic is the same as in customer service on the whole. “The doctor should be there for the patient”, notes Kämäräinen from Nordic Healthcare Group. According to Professor and Chief of Oncology Antti Jekunen, it’s a question of interaction. Specialists no longer dictate their treatment decisions like before. Now a doctor’s appointment is about conversation. “These days, we aim to provide patients with enough information, so they can decide for themselves as far as possible. This is for instance the case in beginning palliative care”, says Jekunen. Palliative care refers to treatment that aims to provide relief from symptoms following oncological care focused on treating cancer. Jekunen, who previously worked in the United States, encourages patients in Finland to get a second opinion from several doctors like Americans often do. “The patient then needs to decide who to believe”, encourages Jekunen. “Brushing up on interaction skills and encounters is what’s most important, affecting everything from patient situations to administration”, believes Kati Haapakoski, Editor-in-Chief at Mediuutiset magazine. The clinical competence of doctors is rarely questioned internally, but patients with free access to online medical sources don’t hold back. Like journalists, doctors are no longer the sole gatekeepers and mediators of information. “Many come for an appointment with a diagnosis for cancer they’ve found on the Internet. That’s when a doctor needs to be aware of what the googled diagnosis is all about. Oncology is a great medical field in that it’s always at the forefront”, exults Jekunen, who appreciates informed patients. “Patients arrive at an appointment to discuss solutions they already know about, and are very conscious of their rights. A good patient is proactive, interested in their case, and motivated to take action”, defines Specialist in Occupational Health Care Petteri Hyrynkangas. “It can also be a tough cookie for a doctor to swallow when a patient has googled a certain diagnosis and then demands certain medication. It can be irritating when patients are so aware”, ponders Kati Haapakoski, Editor-in-Chief at Mediuutiset. “Can you imagine patients splashing their bad treatment experiences on the Internet a decade ago?” Mattila asks. Back to hierarchy and silos. The stiffness of health care organizations is a recurring theme running through the comments of the interviewed experts. To put it in biz talk, now health care needs to follow suit with the rest of the world in moving from a product-centered to a customer-oriented operating model. Especially the United States has begun to divide clinics around a particular care package to avoid patients having to run from one place to another. In addition to finances, pressure comes from critique according to which one patient can be treated by so many doctors that in the end no one is in charge of the big picture. An explanation for the rigidness is that an organization that deals with life and death needs to be unambiguous and precise. Merging together the notions of the patient’s interest being at heart and only a doctor’s expertise being good enough for thoroughly understanding how a hospital ticks, it is plain to see why changes are so hard to implement. Managers find it difficult to question expert work, because they are unable to read minds. Yet outsiders are left wondering why nursing staff and doctors have their own organizations and management. Why is a separate chief physician and nursing director necessary? “That’s a good question. This shouldn’t need to be the case and the resources aren’t in place either”, responds Professor Mattila to the issue of dual organization. “Different professional groups with separate management is a problem. They usually only discuss the treated patient together rather than jointly developing operations on a more general level. This is probably down to siloed management”, says Mikko Keränen, chairman of the Junior Doctors’ Association in Finland. another in the hospital canteen. “Multiprofessional networking is the word on everyone’s lips, and it does work to a degree.” According to Keränen, at Karolinska University Hospital in Stockholm different professional groups study together already at the basic level in order to “shatter glass walls”. In other words, nurses, physiotherapists, and doctors may be taking notes at the same lecture. A conventional distribution of management is once again justified by expertise, but there’s more to it; nurses and doctors find it hard to trust that a representative of one professional group could or would want to think of the interests of another group. It’s quite an alarming thought that in a sense an organization is established on mistrust between different professional groups. On the other hand, people work together seamlessly in an operating theatre, and it is strange to think that an organizational conflict looms in the background. A new manager is unable to eradicate these types of conflicts in the blink of an eye, as they are the result of long and complex cultural, sociological, and financial entanglements. The roots can be traced back in history. The doctor’s profession did not gain esteem until the end of the 19th century, when the field began to truly develop. In Britain, doctors were forced to use the servants’ entrance when coming for a house call. An emphasis on expertise was a way to succeed professionally, socially, and financially. Nursing became established as a profession during the Crimean War (1854—1856) and World War I (1914—1918), nurses usually being daughters from wealthy families who volunteered. For them, nursing was both a calling and a way of gaining independence. A professional identity established on volunteering and a calling continues to sit tight, if not among nurses themselves then at least among stakeholders. Calling still gets mentioned when the discussion moves on to the salaries of nurses. Chief Physician Antti Jekunen compares organizations to hospital facilities. In their time, hospitals were constructed to serve a particular purpose, and as the organization’s needs change, the facilities no longer adapt with them. The transition is more straightforward in the private sector, as it can be directly justified by money. “Cost-consciousness is a reality for us”, says Specialist in Occupational Health Care Hyrynkangas. Changes can also be put into action faster than in the public sector, where decision-making is more sluggish. Politically appointed committees, councils, and boards bring their own spice to health care administration, as of course should be the case for activities funded through taxation. But the fact remains that political decision-making often slows down the implementation of reforms. It is the job of Nordic Healthcare Group to scrutinize the operating methods of health care organizations. “Borders are strict, and old ways of doing things prevail. Without financial pressure, changes are often difficult to put into practice”, says Vesa Kämäräinen, CEO of Nordic Healthcare Group. The company’s representatives frequently present their commissions to committees and councils. “Genuine freedom to choose resulting from competition within the health care sector would be the single decisive factor influencing the motivation to change”, summarizes Kämäräinen. Despite the rigid nature of health care organizations, change can surface also from within. All of the interviewees mention how different young people entering the job market are today. The famous Generation Y is stamping its mark also on the health care sector. Studies indicate that Generation Y is an adventurous bunch that values leisure time and freedom to choose without being as preoccupied with titles as its predecessors. “Fixed property is valued much less. The new generation rents and isn’t interested in owning a car. They are not interested in spending 30 years working for the same central hospital, but want to keep learning and gaining new experiences”, Kämäräinen from Nordic Healthcare Group sums up. Mikko Keränen, who is currently specializing in internal medicine, can relate to the observations of his senior colleagues. He sees the sector as being too hierarchical and demonstrating a huge gulf between management and the rest of the staff. “A decision-making committee sits somewhere up there declaring the great truth to everyone else.” Keränen’s list of what makes a good manager is a helpful to-do list for change managers in the sector. “The key behind a blossoming startup is everyone working together.” Keränen wants work to have a meaning and the manager to voice what that meaning is. Tight boundaries are unnecessary. It’s no use for a doctor and physiotherapist to squabble about who understands the patient better, as there’s plenty of work for both. An enthusiastic supervisor makes a huge difference. Managers need to be able to explain where things are at, what the aim is, and what needs to be done to get there. Then comes the hardest part: inspiring the organization to step into something new. Young doctors get frustrated with the recurrent explanations for postponing changes: things have always been done this way; they are too complicated to implement; or they will happen once some difficult member of staff has retired. The system can perhaps handle one or two top level Dr. Houses, and the character does show up in almost any given expert organization. In one sense, organizations are indebted to these geniuses, who anarchistically question established practices. Currently reading: Aalto Leaders' Insight: Change Management: What could a startup teach to a hospital?